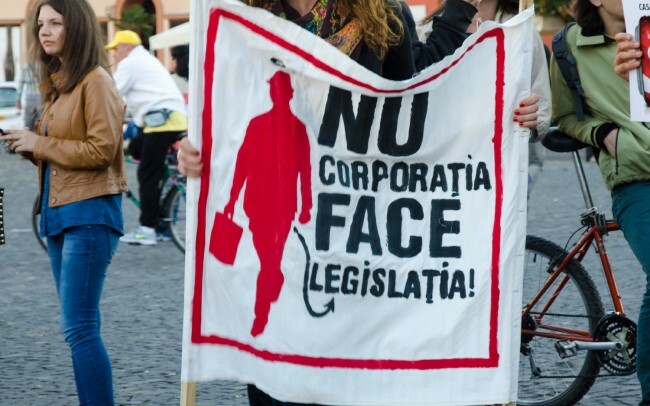 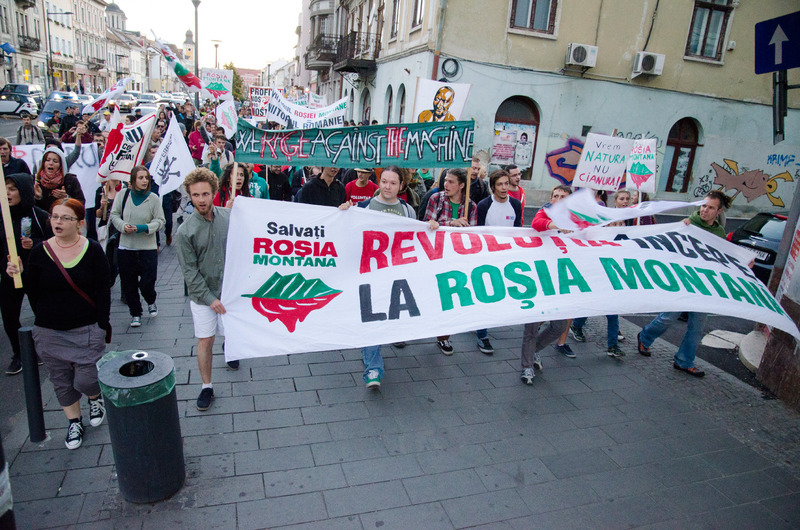 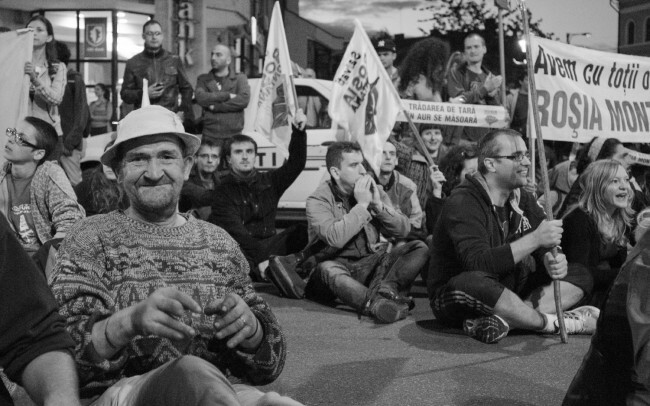 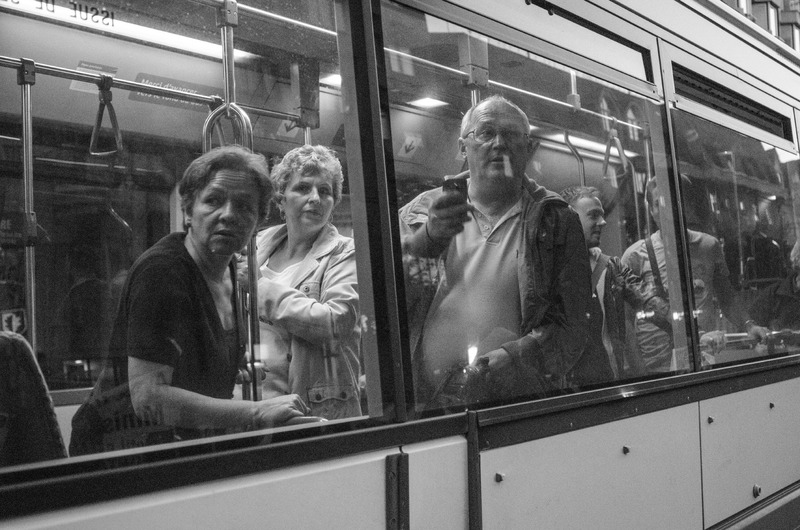 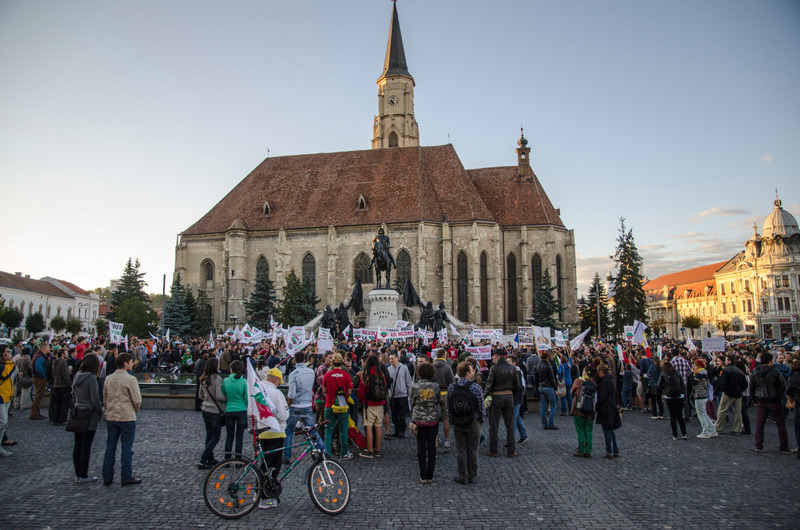 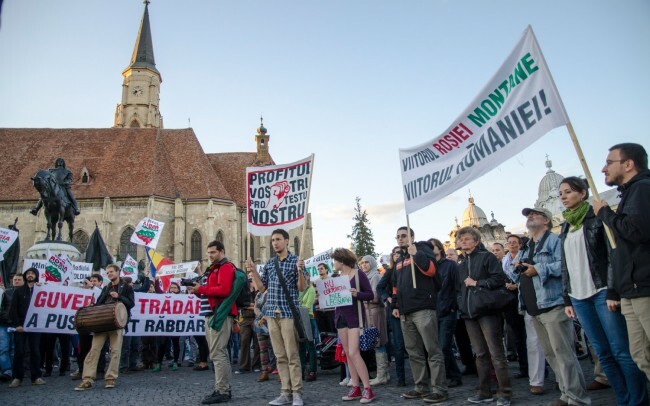 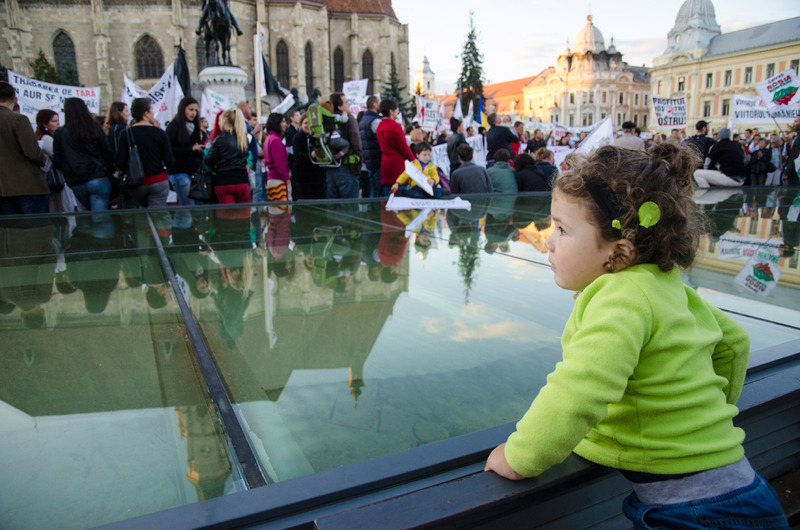 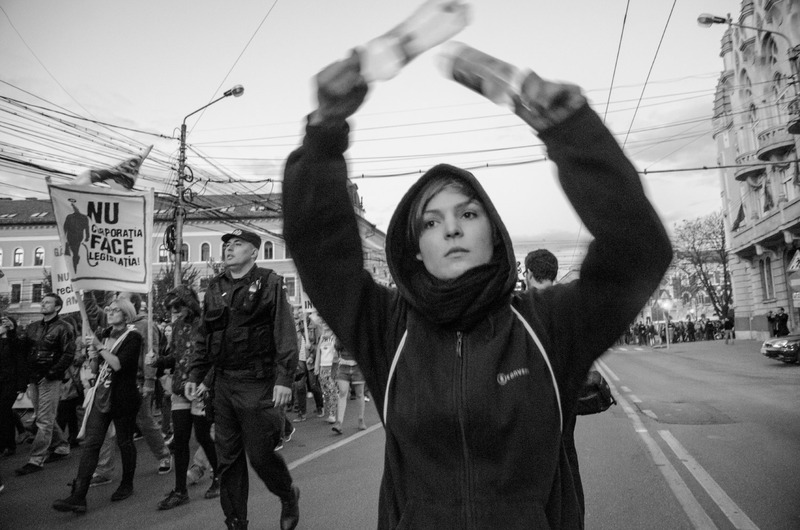 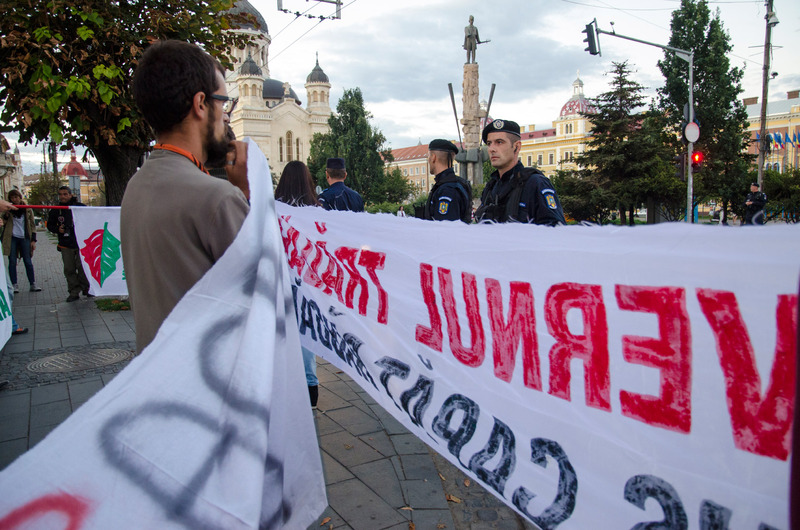 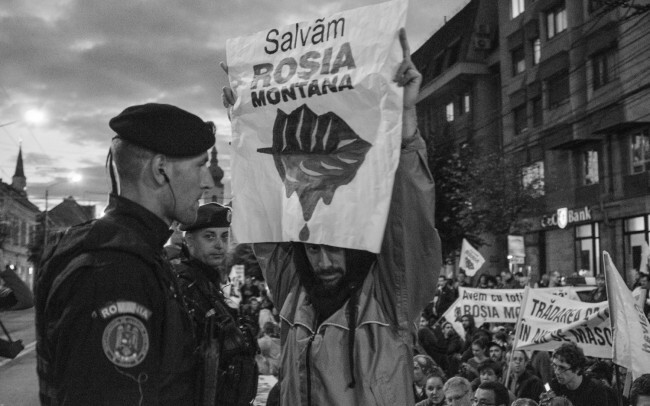 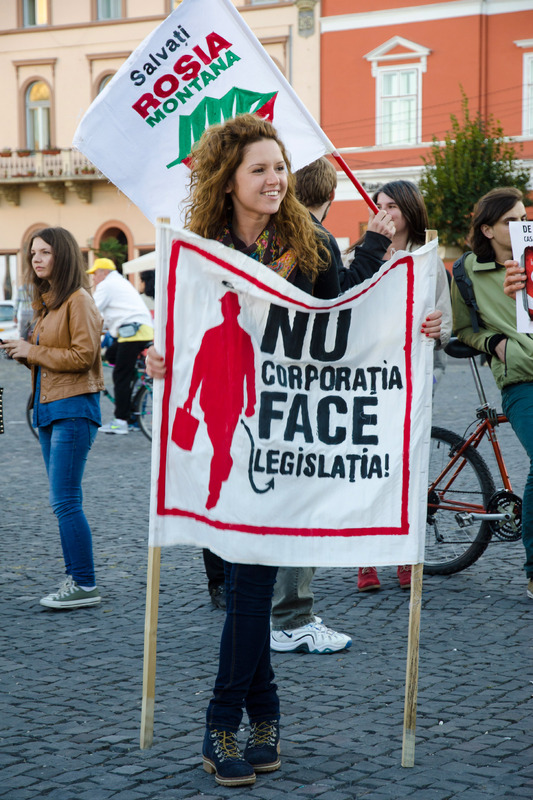 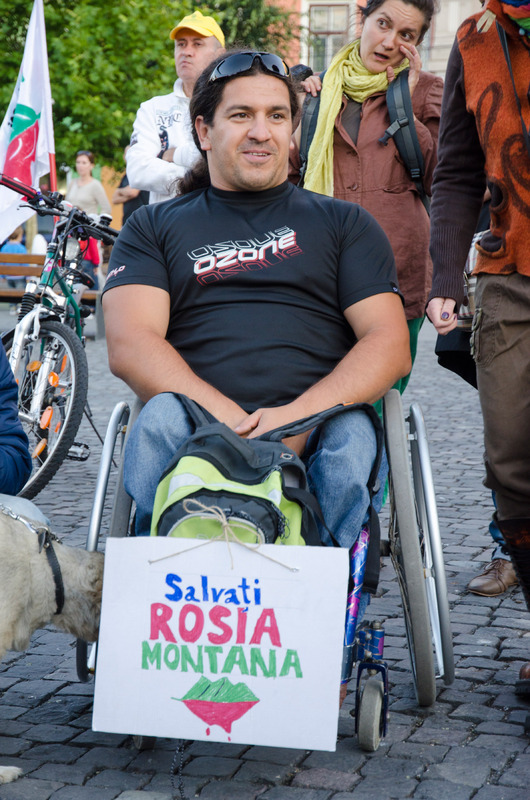 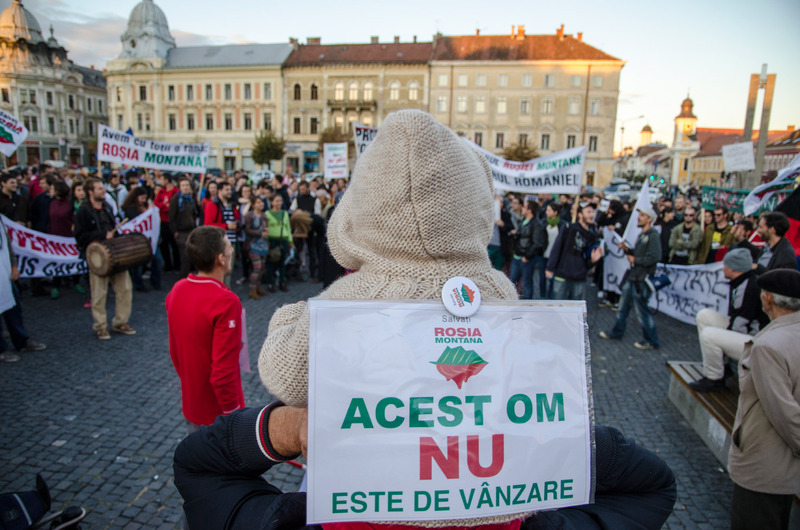 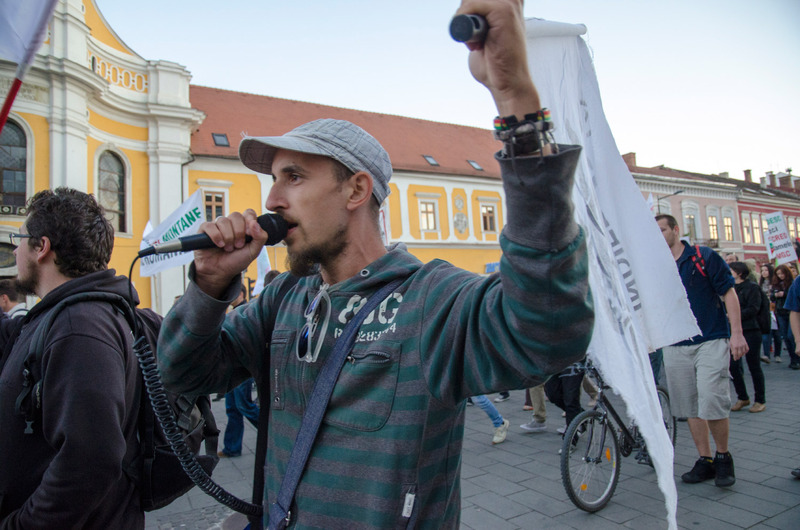 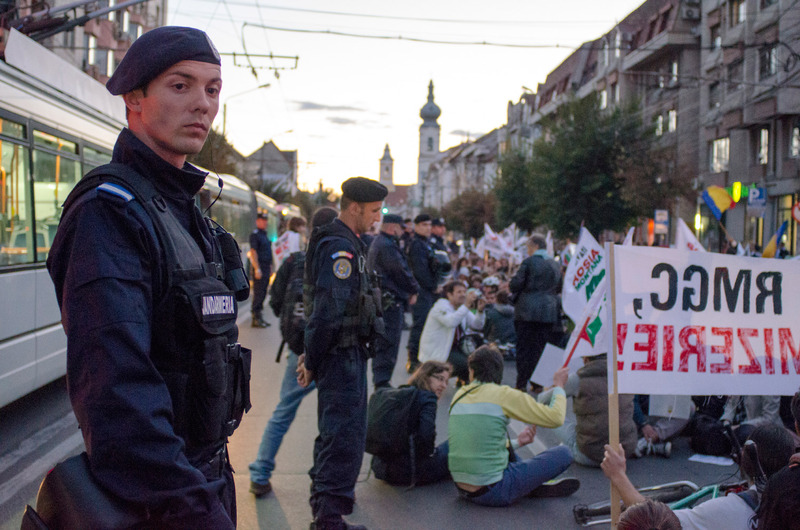 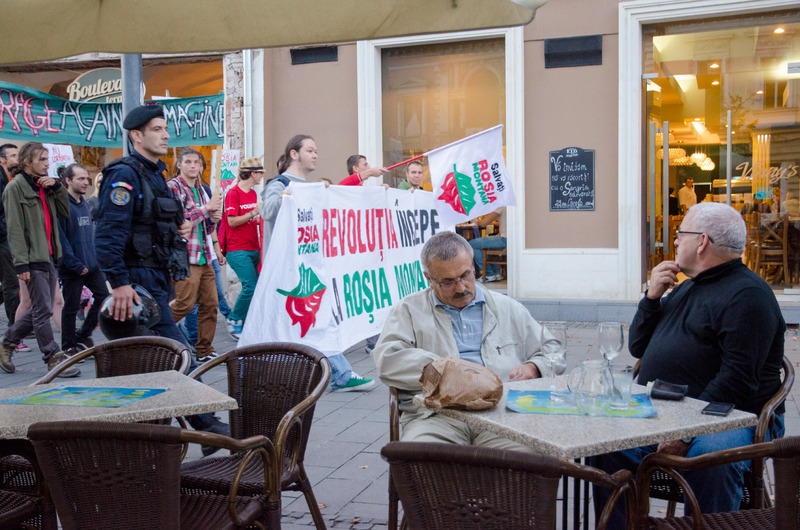 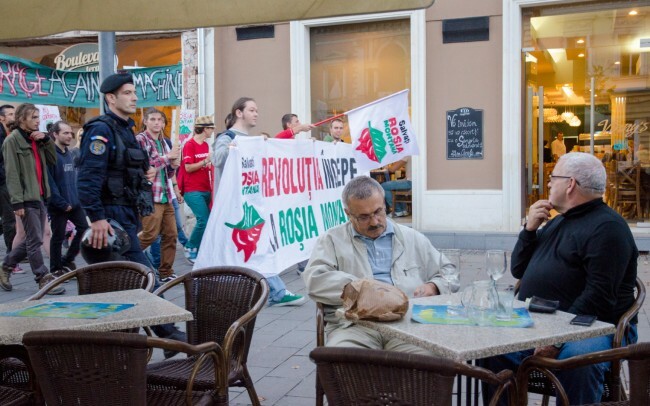 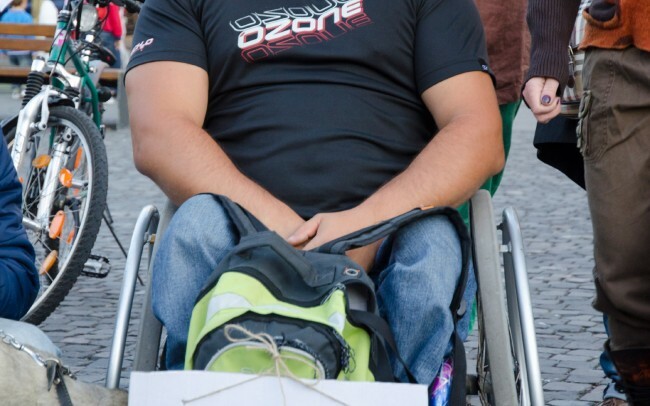 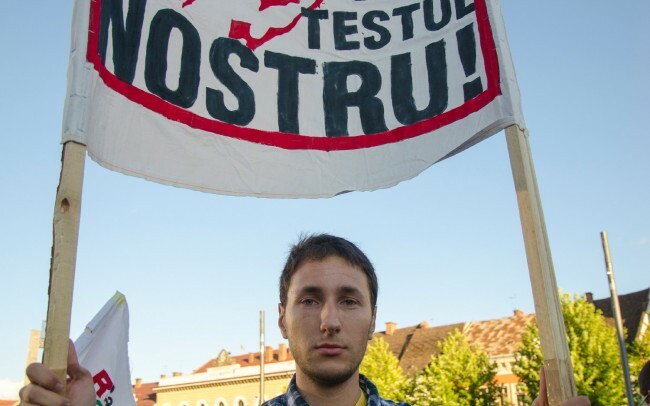 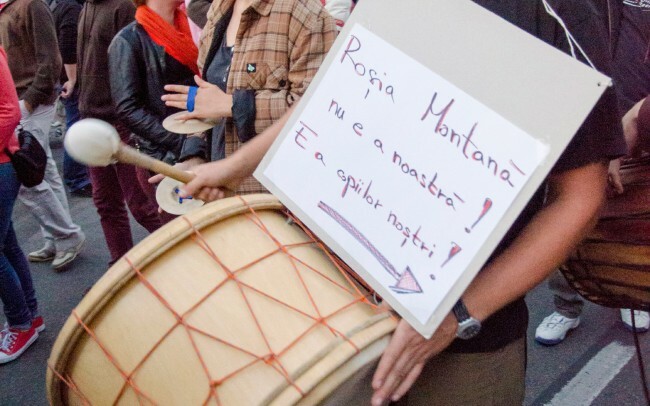 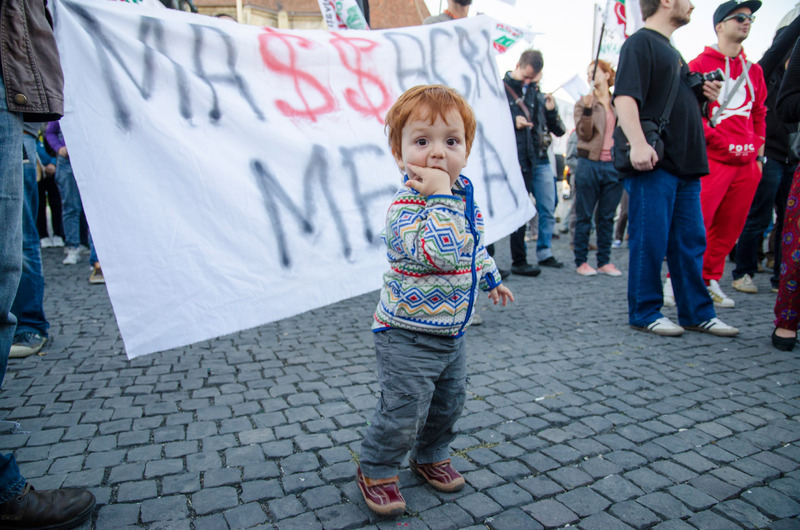 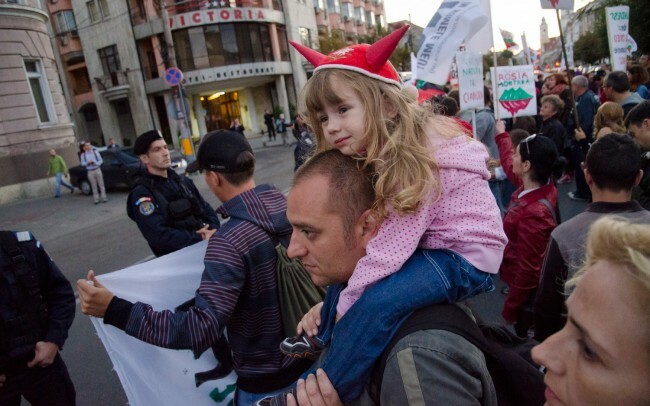 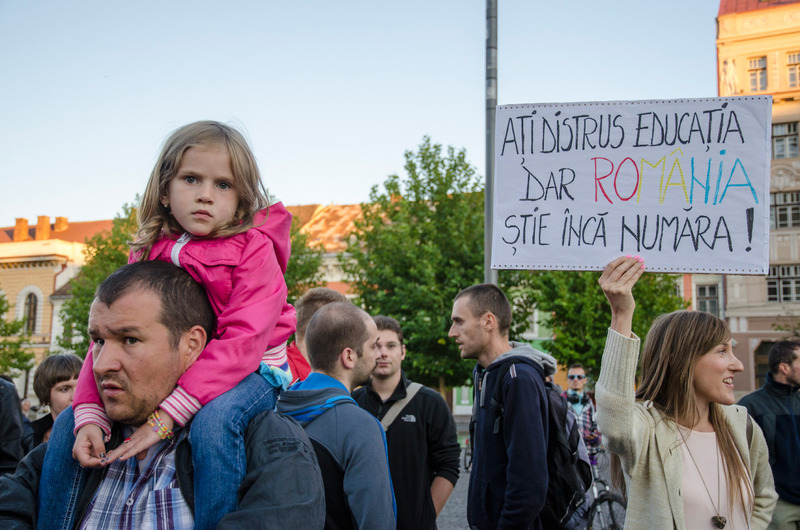 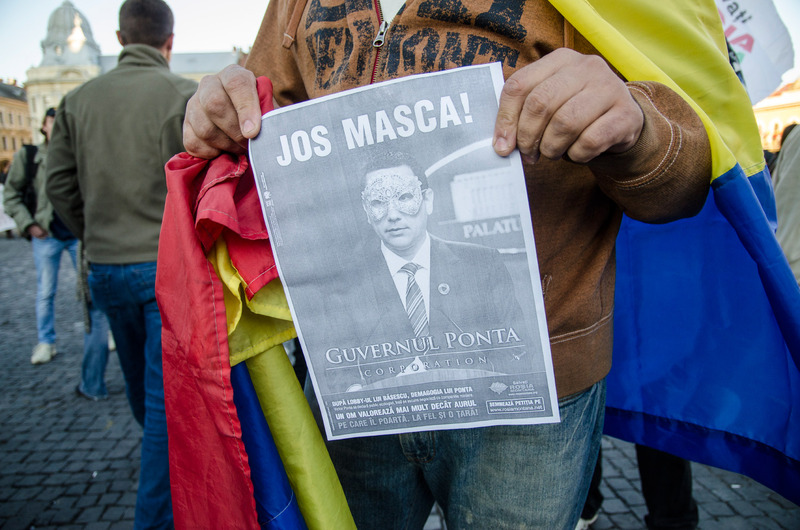 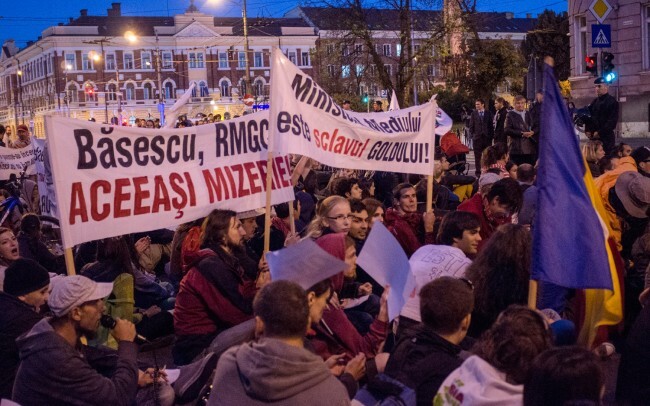 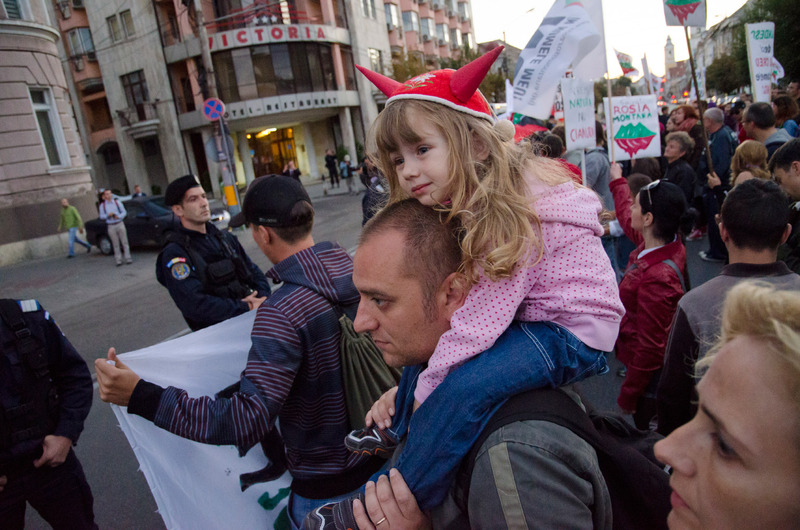 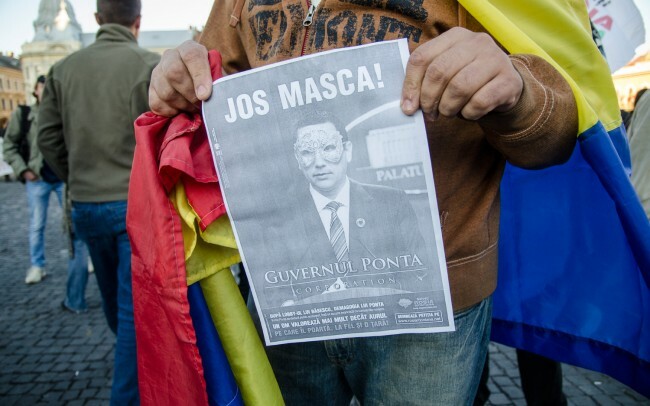 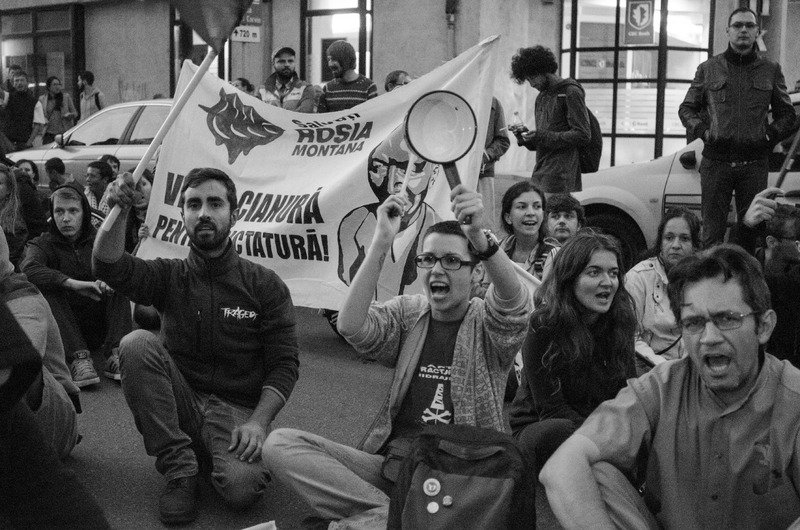 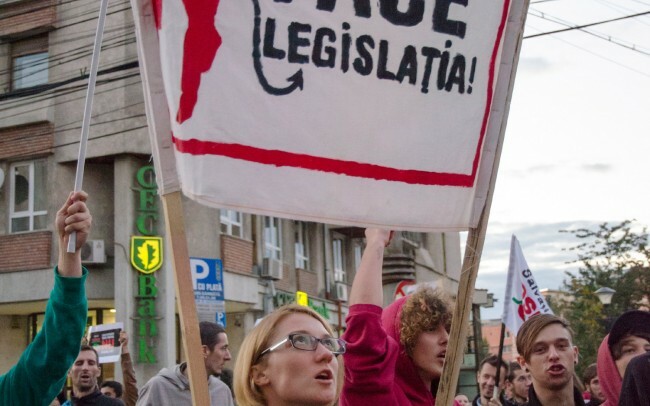 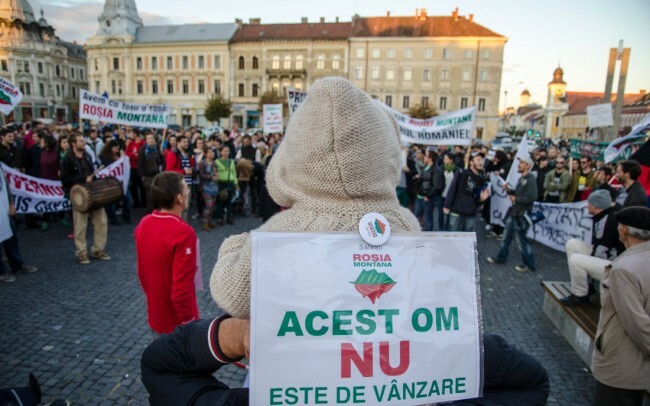 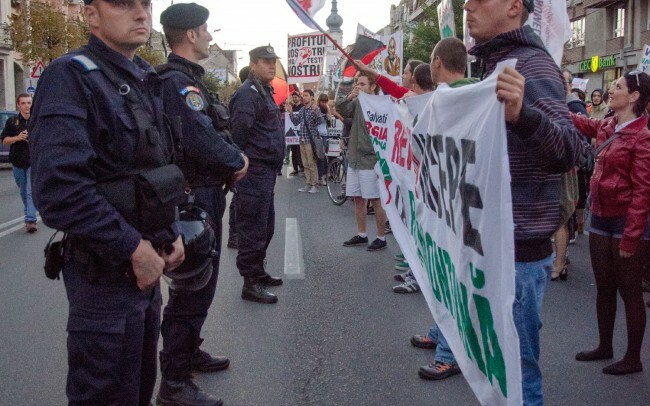 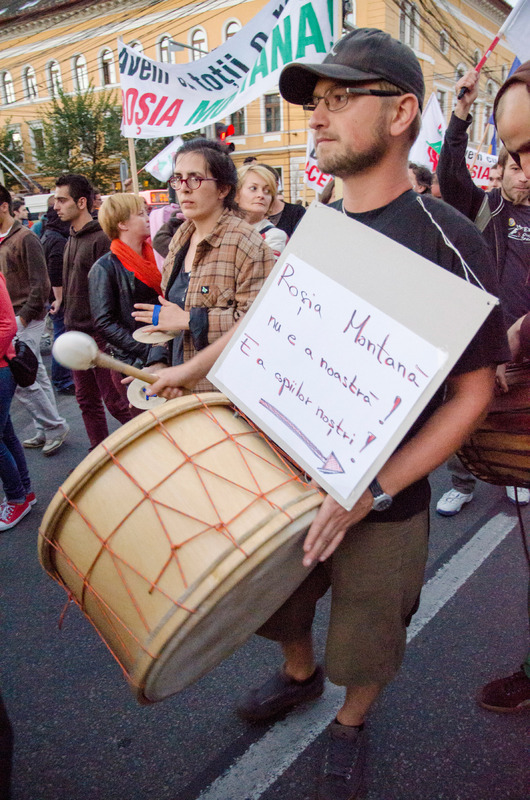 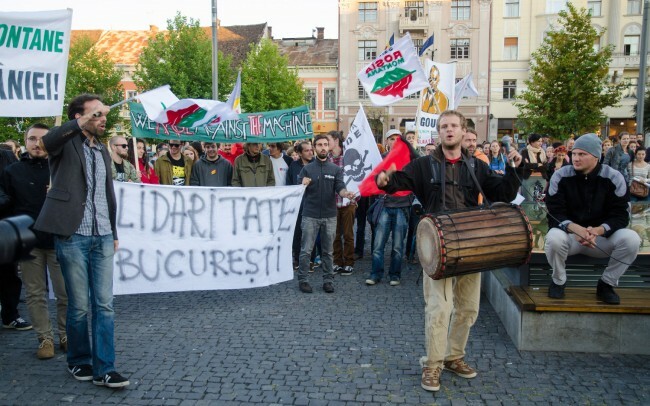 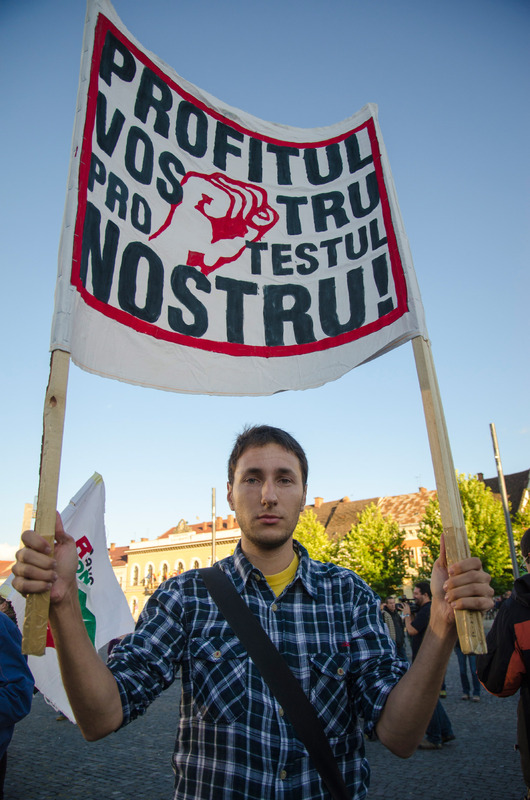 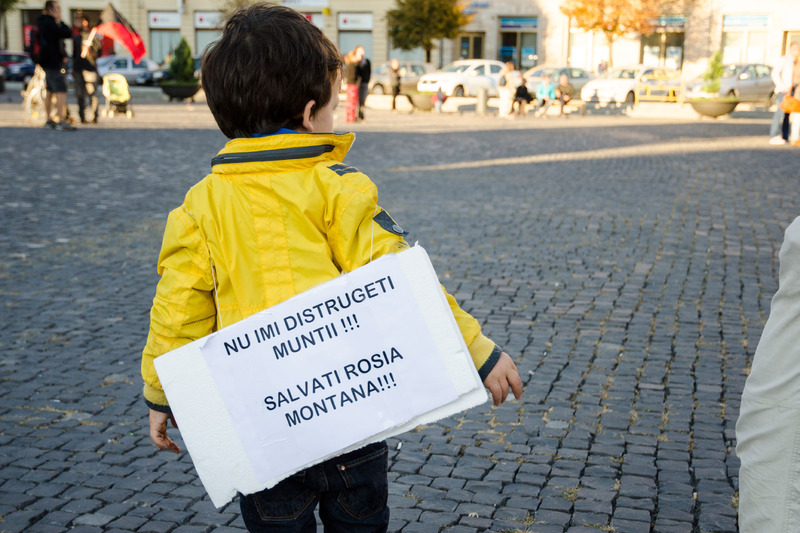 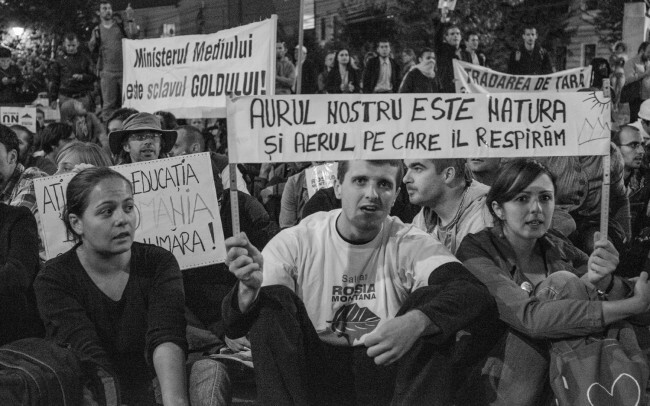 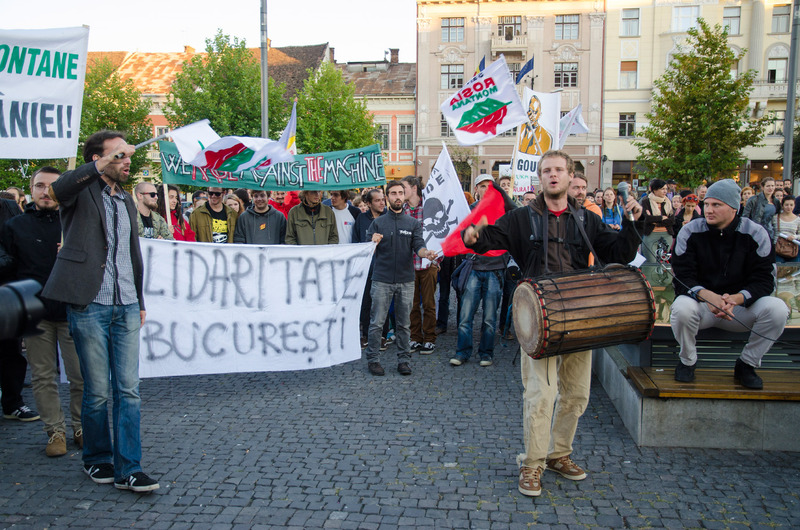 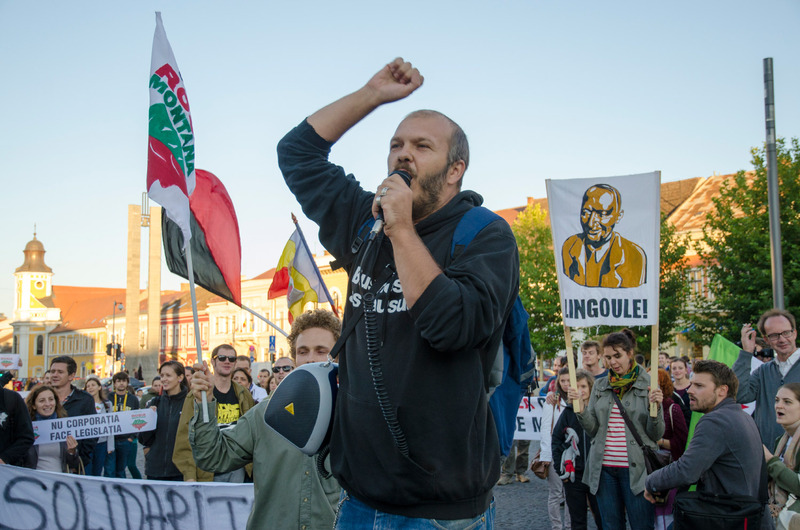 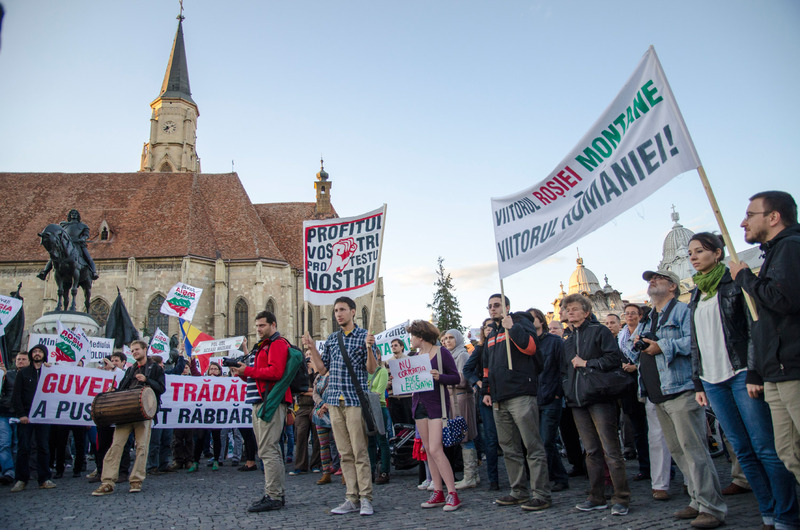 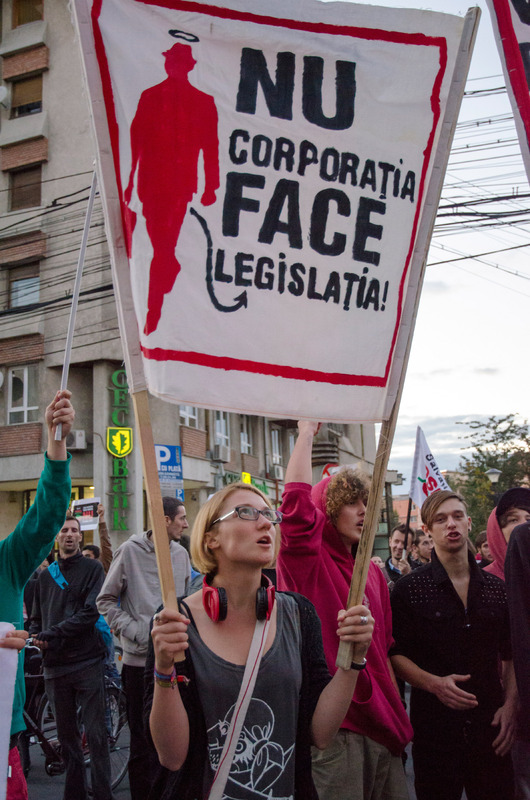 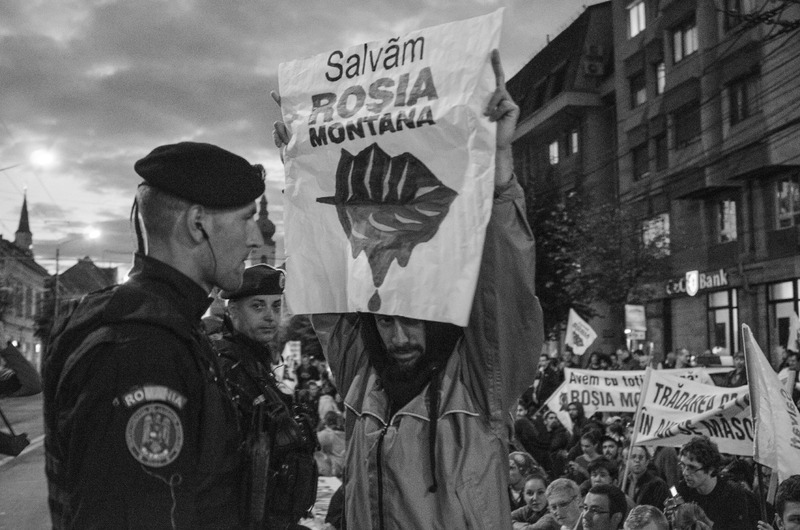 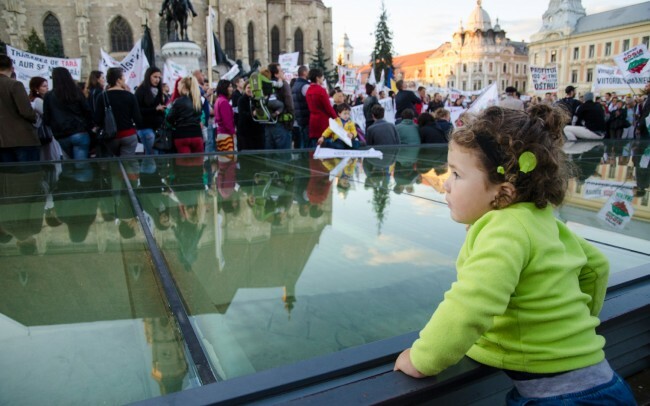 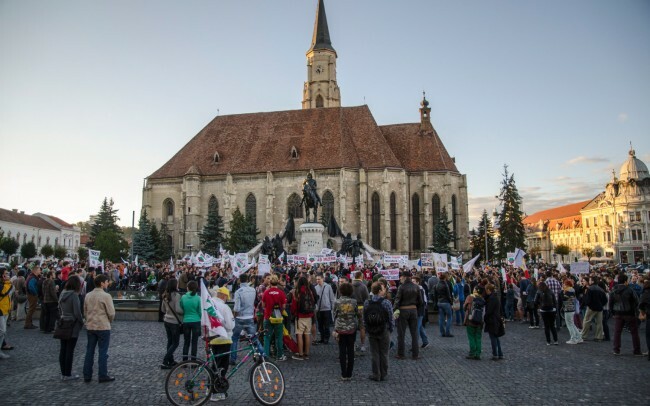 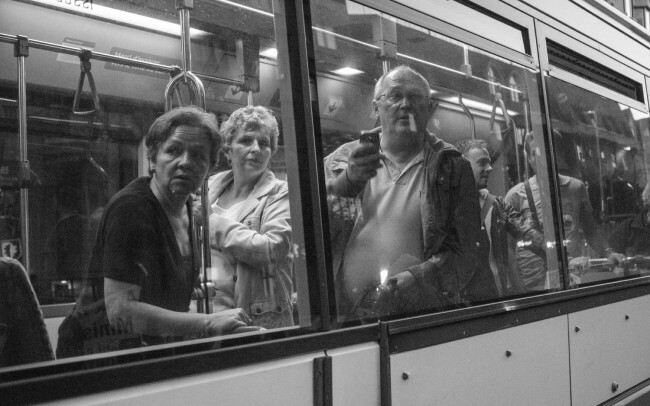 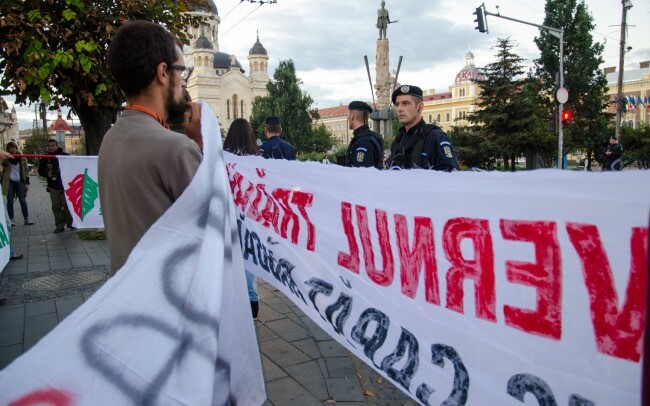 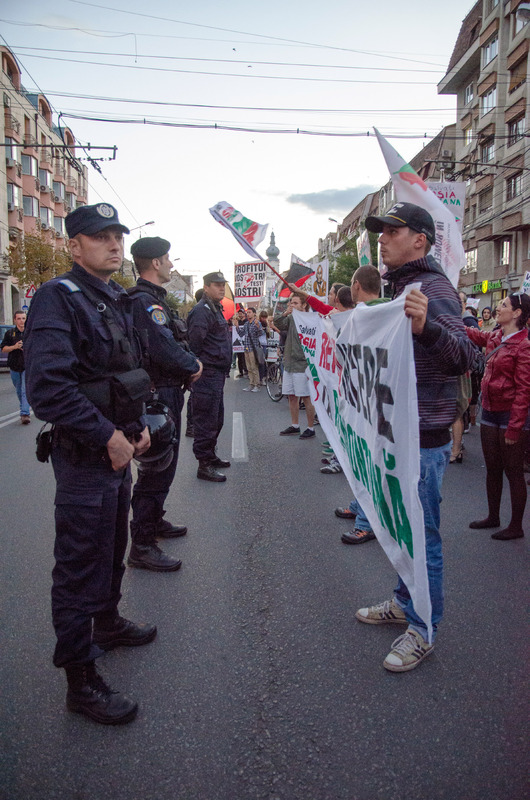 Another protest took place in Cluj-Napoca today against the Rosia Montana Project. 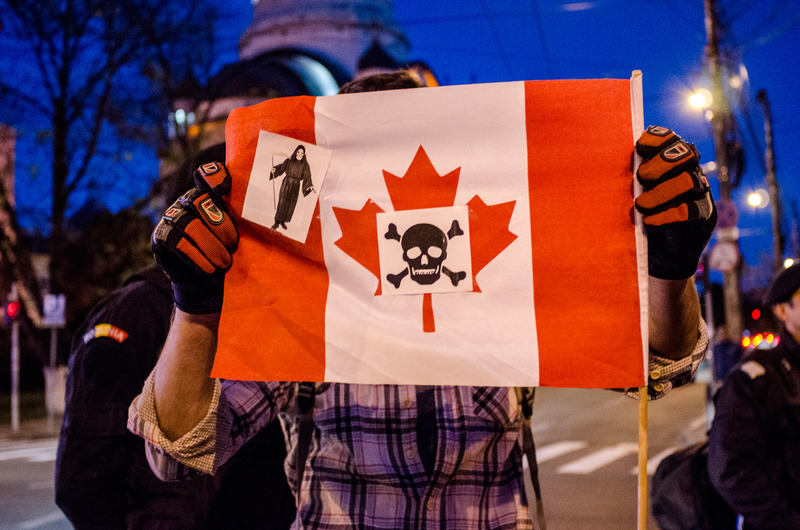 It started at 7pm and the march had the same route as on Sunday. 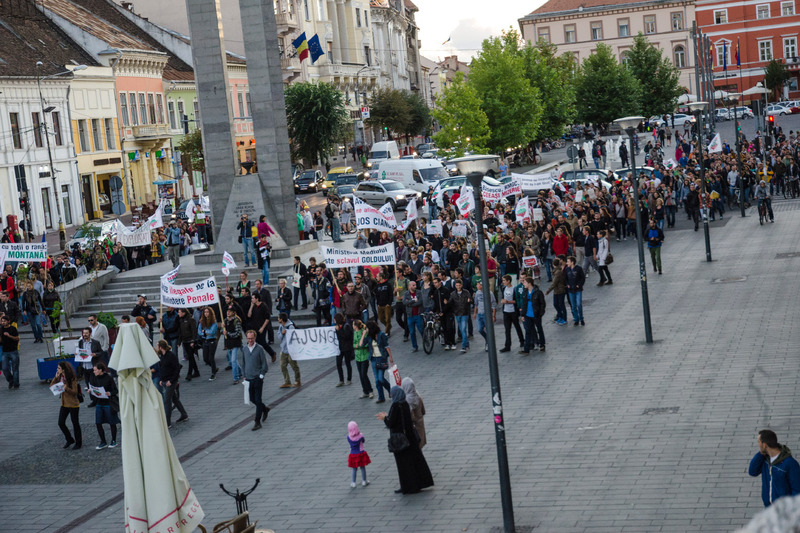 There were about 1000 people who participated and shouted once again: “We want nature, not cyanide”. 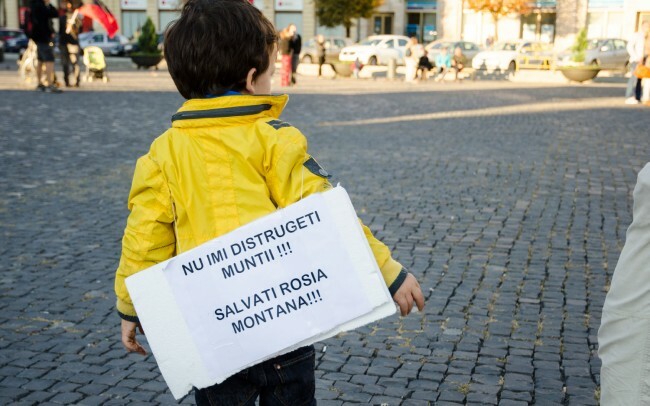 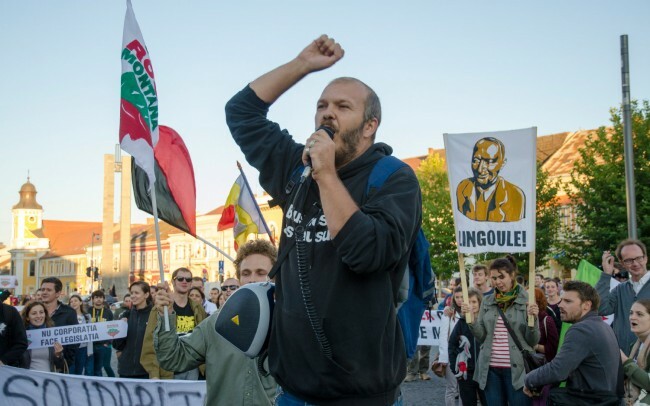 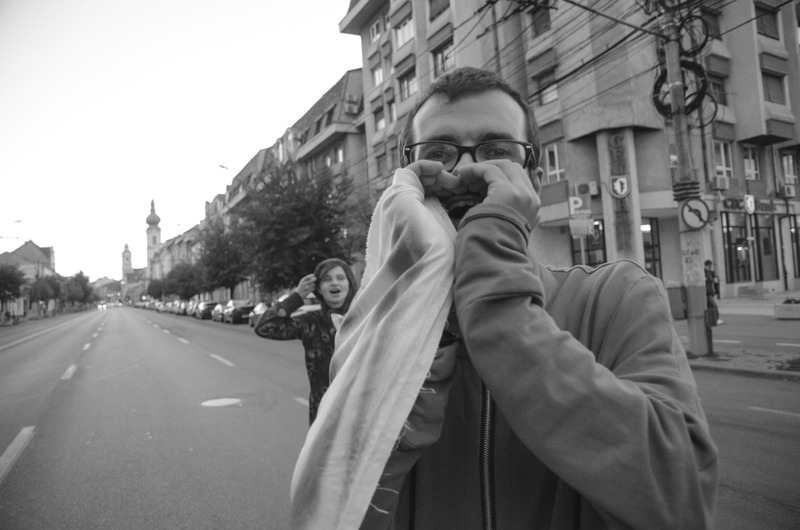 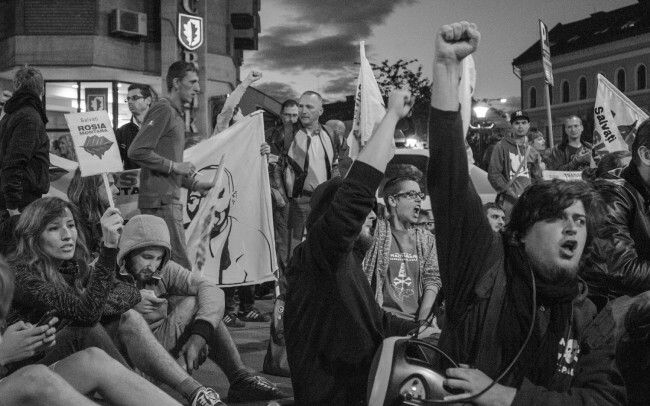 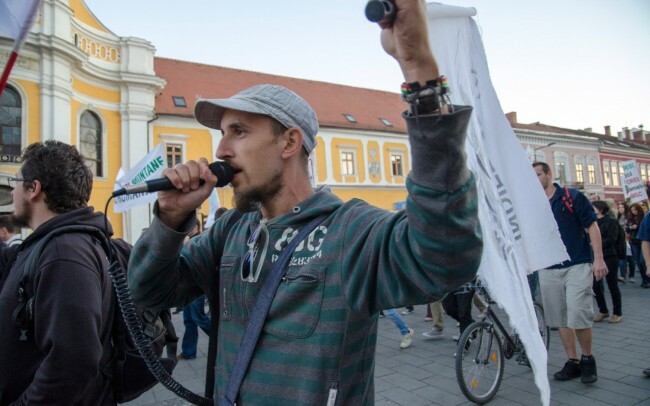 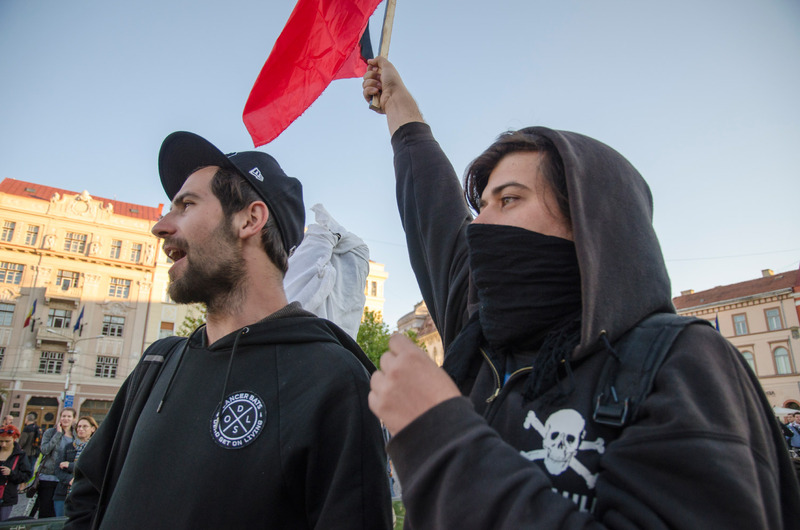 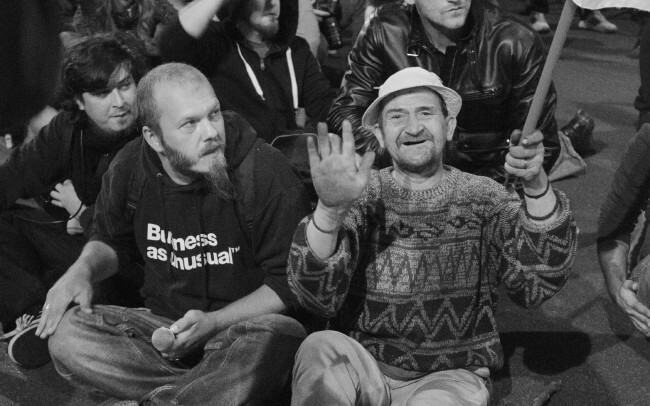 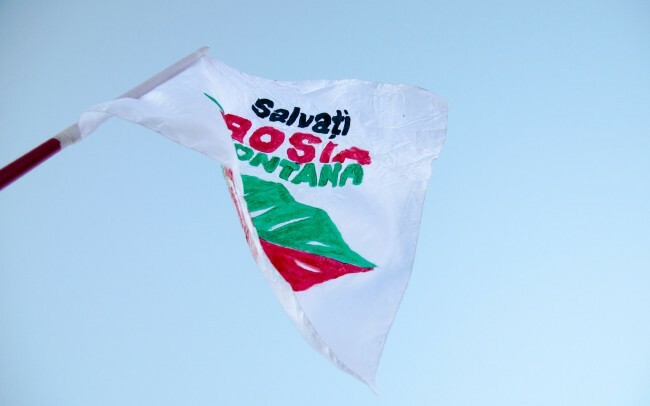 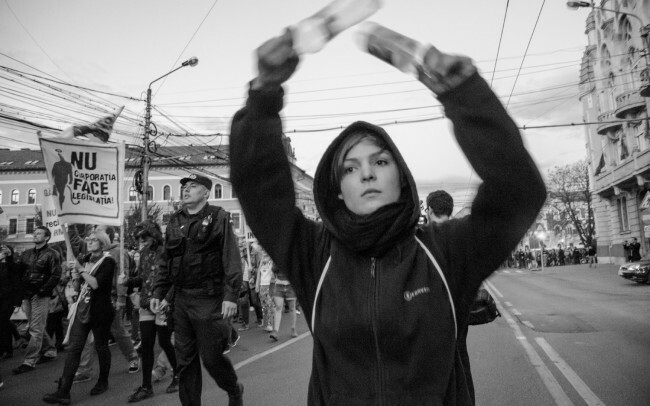 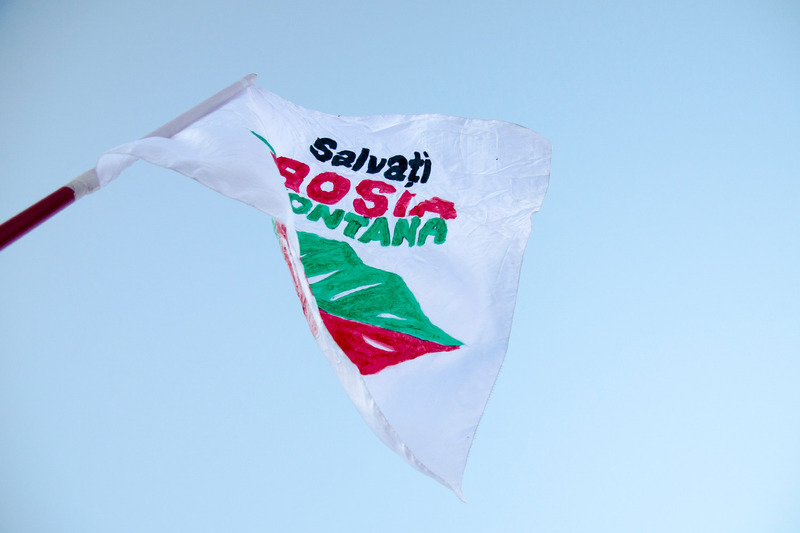 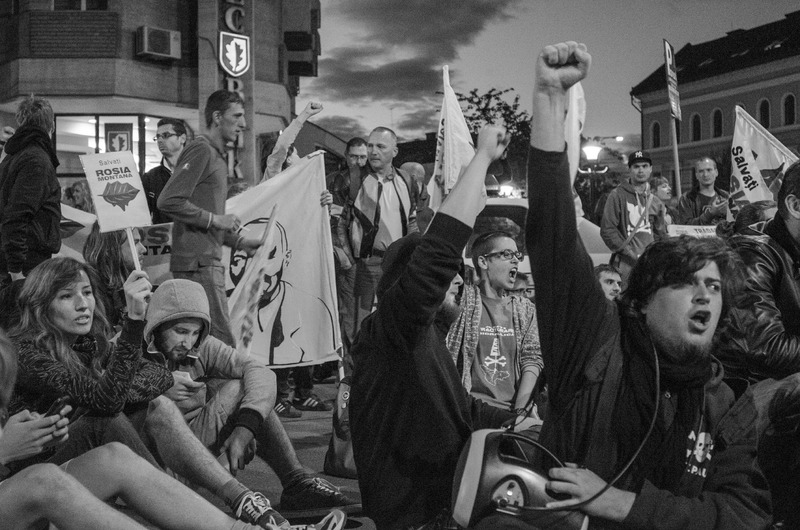 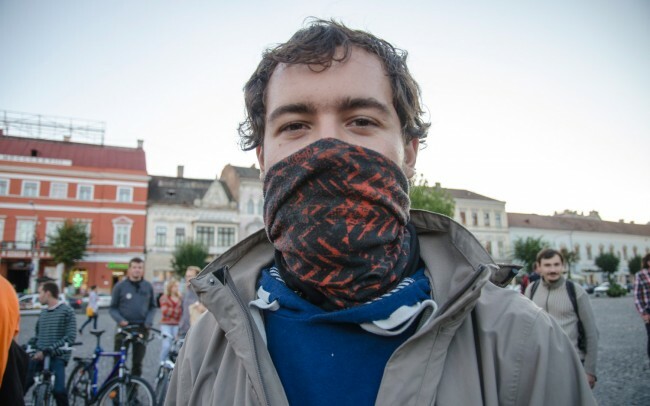 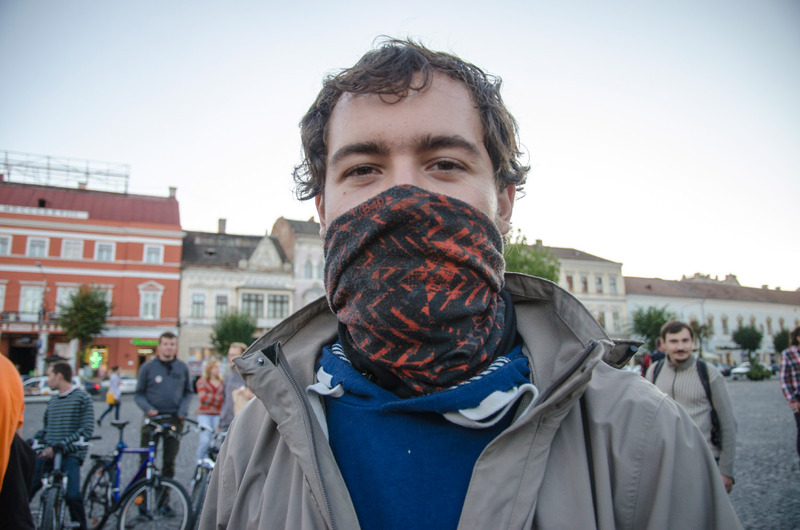 They accused the media of not telling the truth about the protests, minimizing the impact that the approval of Rosia Montana had on the public.They yelled: “Let the press come so that we can cut the leash”. 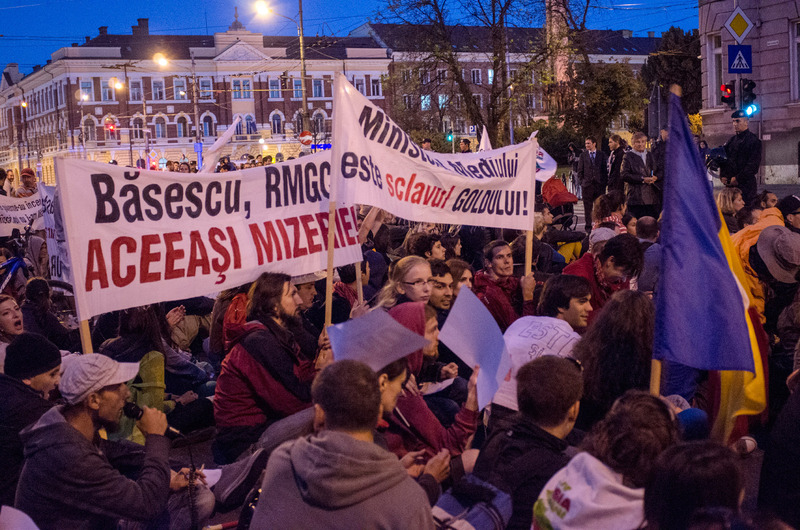 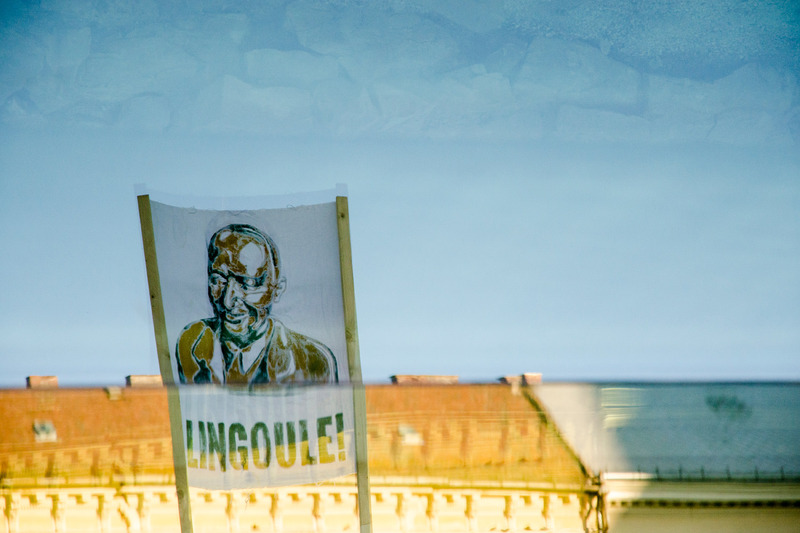 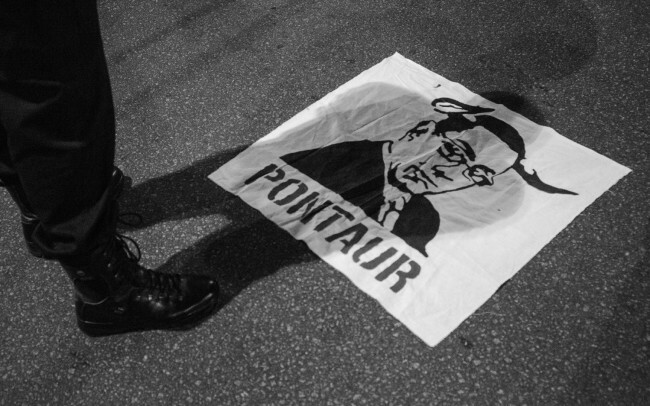 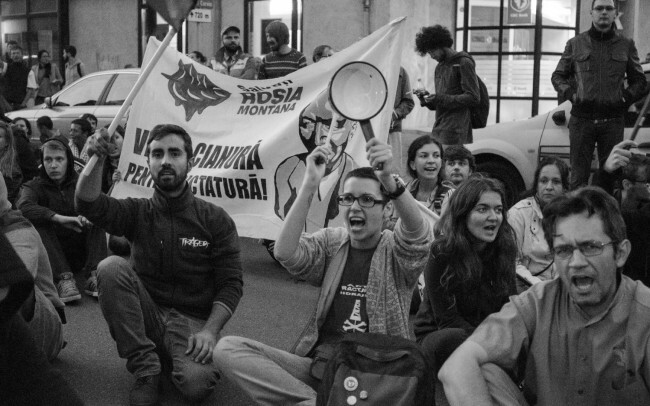 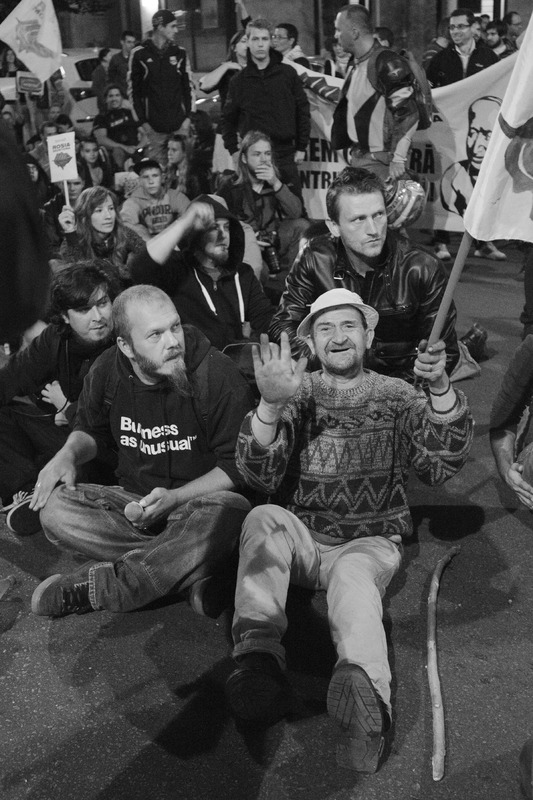 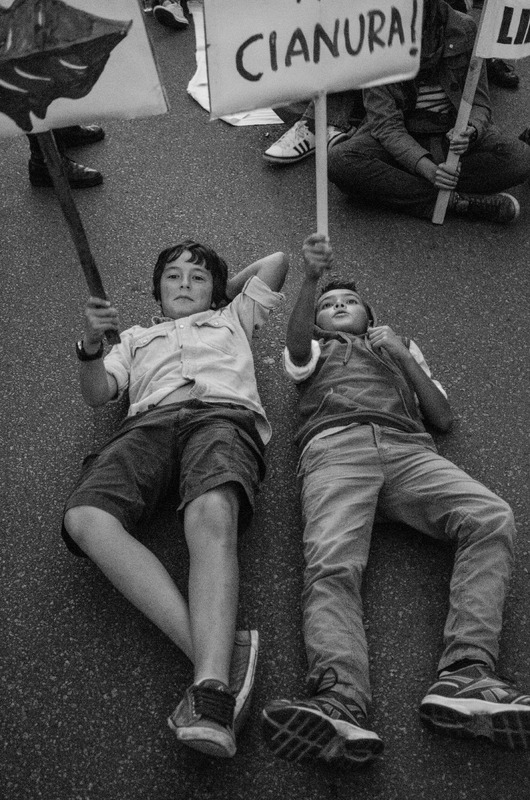 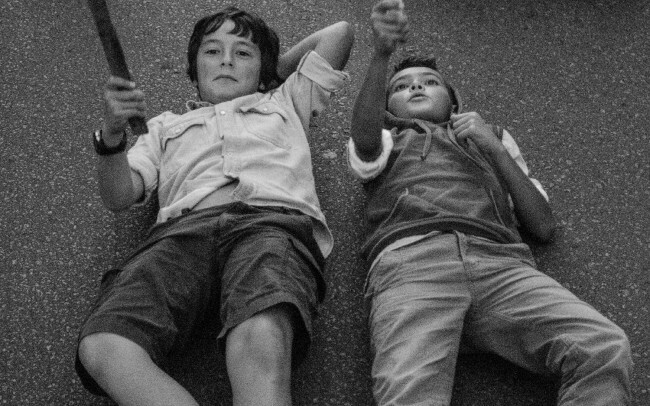 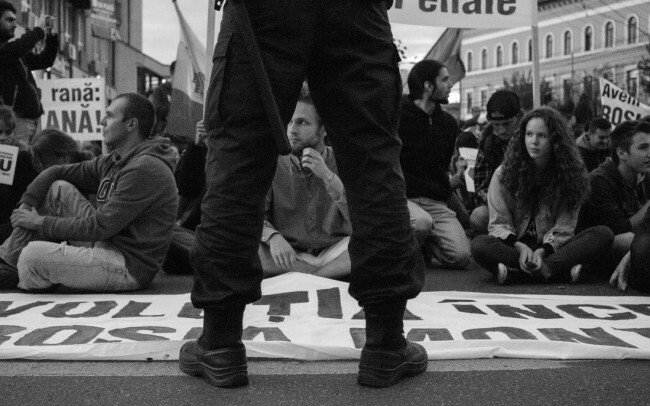 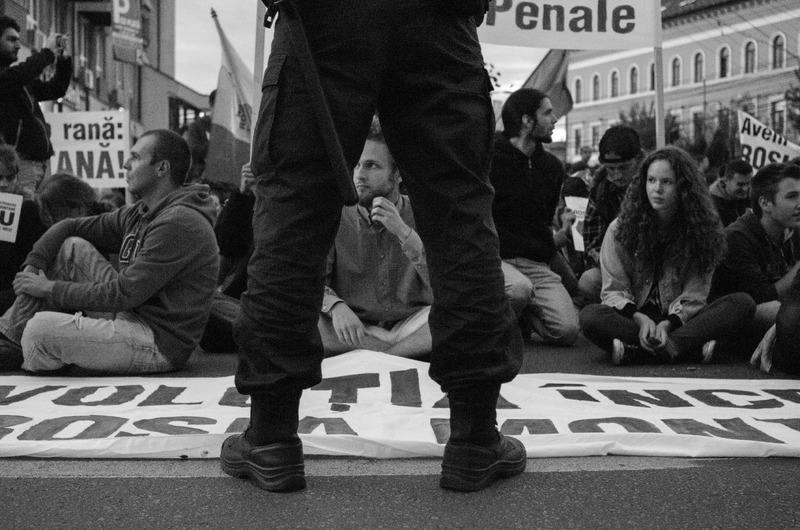 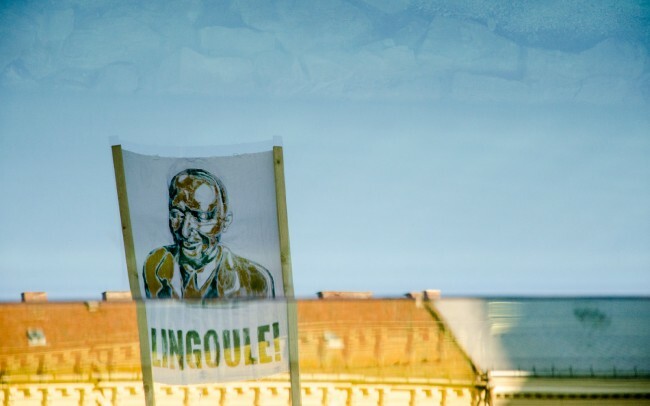 When they reached the prefecture, they sat down on the street for about 20 minutes and afterwards continued the march towards the Student Culture House where they yet again sat on the street. 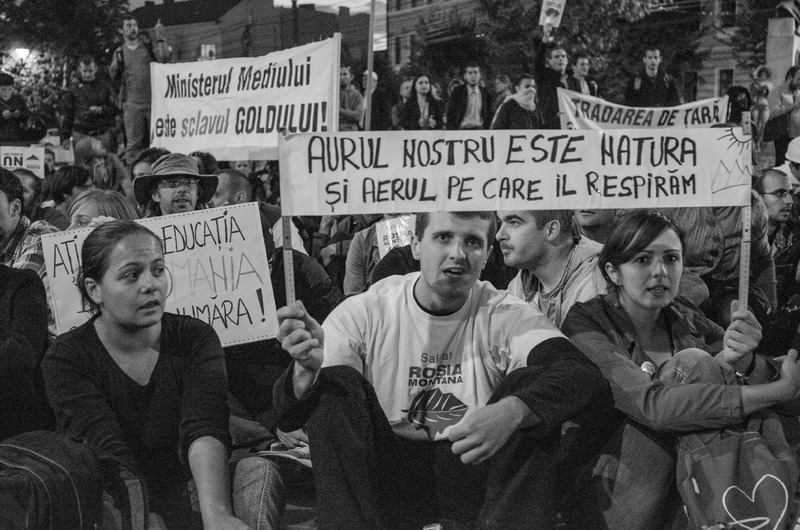 Today in Satu-Mare 6000 people gathered for this cause while in Bucharest people left home after 1 am every night since the first.